The Boston ChannelPro SMB Forum was a full-day live event and featured presentations from some of the top SMB resellers and managed service providers in the country, sharing their insights on the hottest tech solutions in the SMB marketplace today. D&H is offering all local MSPs and IT integrators a free day of training from 10am to 5pm on September 5th. Meet with the D&H team to learn about the benefits of partnering with D&H and the services we offer. You are free to join us all day or come for either of our trainings! Lunch is served from 1 pm to 2 pm. All parking, meals and training sessions are included for free. 10am to 1pm Cisco Cloud Security Training. Learn how to add Cisco Umbrella to your security portfolio. It provides the first line of defense against internet threats, deploys in minutes, and delivers 100% reliability. Umbrella is backed by advanced threat intelligence and Cisco’s security portfolio. All are welcome. 2pm to 5pm Microsoft Cloud Business Builder Workshop. D&H Cloud Solutions and Microsoft are hosting an interactive workshop in collaboration with KloudReadiness, a leading provider of cutting-edge services to businesses who wish to join, grow and leverage a cloud-based service model. We will be discussing how to create and drive a cloud practice and become a cloud revenue producer in today’s subscription-based economy. 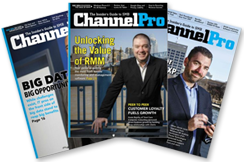 Pulling in real money as a channel pro these days means cultivating vertical expertise, delivering strategic consulting services, and otherwise moving from IT basics to specialized offerings only you can deliver. Our panel of experienced channel pros will tell you how to do exactly that in this peer-to-peer session. Join MSP gurus Karl and Manuel Palachuk—aka the “managed service guys”—as they share battle-tested advice on topics like selecting tools, hiring techs, managing tickets, and measuring success during a live episode of their imaginary legendary MSP Talk radio show. Led by one of the SMB channel’s top marketing experts, this learn-by-doing workshop will show you how to construct the kind of well-oiled lead generation machine that consistently produces fresh sales prospects. Setting rates high enough to deliver strong profits yet low enough to be competitive is one of the trickiest parts of running an SMB technology business. This hands-on, interactive workshop will take some of the mystery out of that process, though, by walking you step-by-step through the process of creating smart prices for your services in your market. Book directly within the ChannelPro SMB Forum group room block by calling (617) 969-1000. Be sure to reference the ChannelPro SMB Forum group when you make your reservation to receive the discounted room rate. For hotel details as well as transporation options and driving directions please click HERE. 10:50am to 11:00am Gold Sponsor Presentation - Eaton Corp.
11:00am to 11:10am Gold Sponsor Presentation - Secure Now! 12:35pm to 12:45pm Gold Sponsor Presentation - Datto Inc.
12:45pm to 12:55pm Gold Sponsor Presentation - SYNNEX Corp.
3:25pm to 3:35pm Gold Sponsor Presentation - Ingram Micro Inc.
3:45pm to 3:55pm Gold Sponsor Presentation - Webroot Inc.
4:40pm to 4:50pm Gold Sponsor Presentation - StorageCraft Technology Corp.
Michael is dedicated to helping channel partners and customers accelerate their business with SherWeb’s Cloud PBX line of products, and is an expert on anything related to VoIP. With nearly 10 years of experience in the telecommunications industry, he has worked with thousands of channel partners across Canada, USA, and South America. Click to play the full video "ChannelPro SMB Forum 2018: Boston Silver Selfie"